You might have heard of the "Graduate" feature in Small Basic. 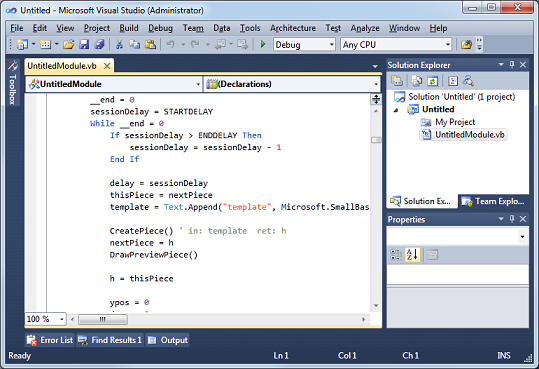 If you haven't - you should check it out - it enables you to convert any Small Basic program into an equivalent Visual Basic program, allowing you to gently ramp up to the full power of a professional programming language. Here's how it works. You start with a program you wrote, or opened, or imported. In this case, let's import "TETRIS" from the web. When run, this should pop-up a fully-playable Tetris game. 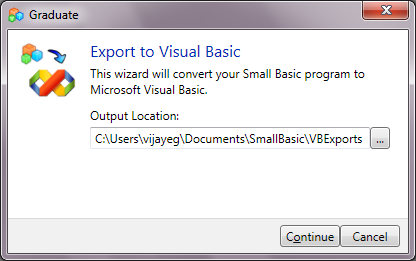 When we click the "Graduate" button on the toolbar, we are presented with this friendly wizard that asks for the location to put the converted Visual Basic project. 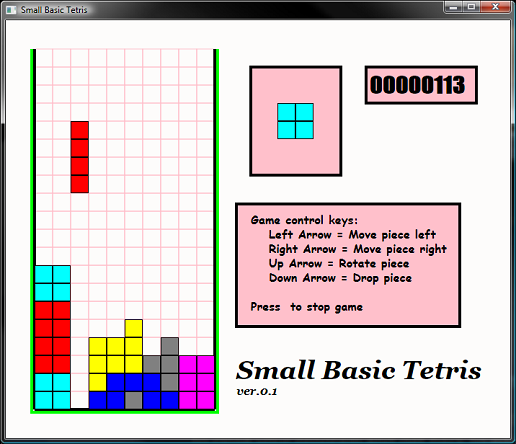 Once we pick a location and click Continue, we should see Visual Basic launch with the Tetris program. 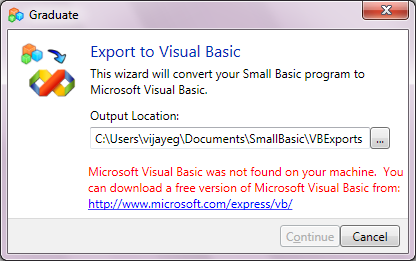 The link (http://microsoft.com/express/vb) allows you to download a free version of Visual Basic that is compatible with Small Basic.